Get a Mystery Spot Gift Certificate at 10% off Face Value between now and Christmas Eve! We’re pleased to announce we’re now offering all-purpose gift certificates. They’re good for any purchase at The Spot. Yes, even if we have an advertised sale, you can still use them! To sweeten the pot, between now and Christmas Eve, we’re offering gift certificates at 10% off face value. In other words, a $100. gift certificate will only cost $90. 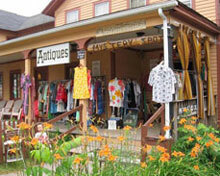 The perfect holiday gift for your friends and family who love antiques, vinyl and vintage clothing. They’re even good for artwork. Or just get one for yourself! Available in any denomination your little heart desires. 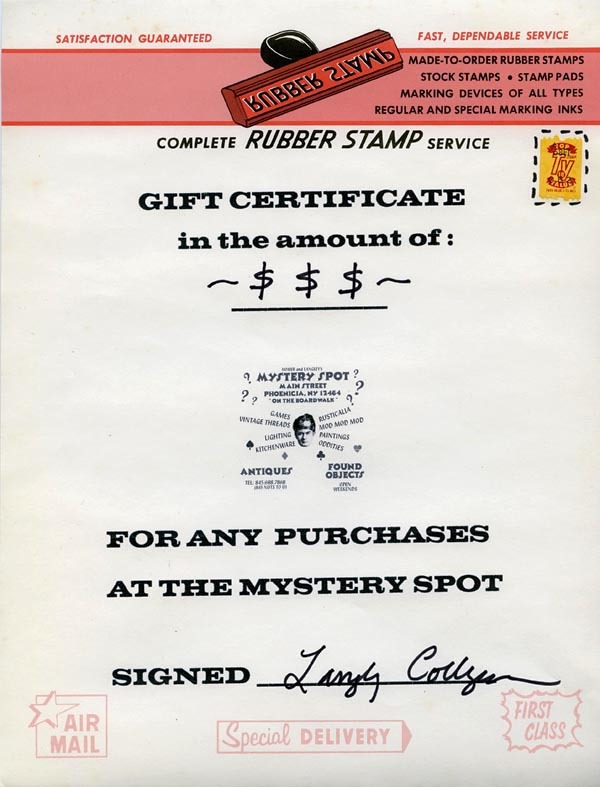 Come into The Mystery Spot any weekend between now and Dec. 24th to pick up your gift certificate and check out the ever-changing landscape of vintage goodness on display. And thank you for supporting your friends, neighbors, and small business owners this holiday season.